It was a cheering moment in Fajuyi hall today as the home team defeated the Machines of Awolowo hall in an opening fixture of the 2013/2014 OAU Premier League. Awolowo Hall settled for a 4-2 loss in a game that was dominated by the Fajuyians. Alji, who was the talisman for the Fajuyian team troubled the defense line of the Awoites and found the back of the net 3 times leaving the visitors with an herculean task of overturning the defeat in the return leg. Also, in the dusty and sandy pitch of Angola hall, ETF hall team controversially whitewashed the home team 6-4 making them the team that has scored most goals in the tournament. There were massive turnouts at the venues of the two games played today as fans came out in their numbers to support their various teams. 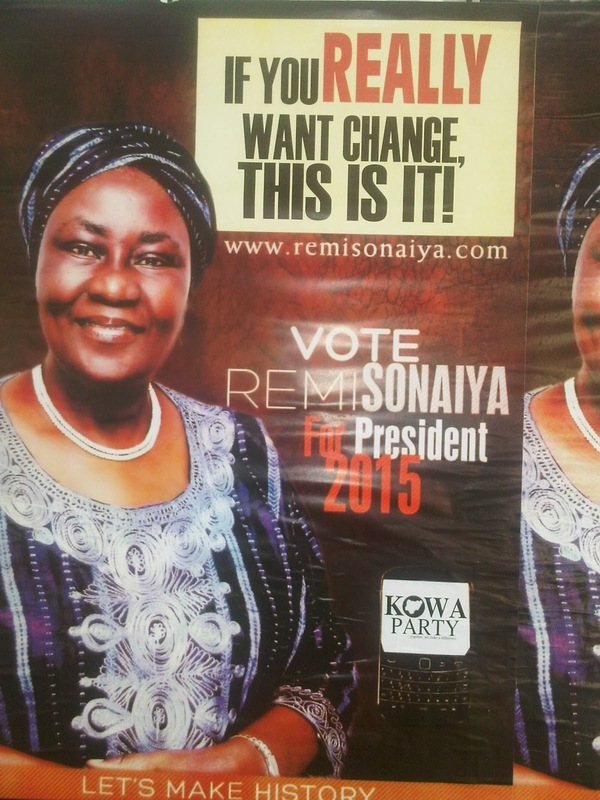 One of the presidential candidates for next month's poll, Professor(Mrs) Oluremi Comfort Sonaiya is now one of the top considerations by humans of Obafemi Awolowo University as her campaign posters are seen at every nook and cranny of the university campus. We felicitate with the President of Great Ife Students' Union, Comrade Ibikunle Isaac Motunrayo, GCAF(Grand Commander of all Aluta Forces) on his birthday. We wish him more fruitful years on earth coupled with sound health and fulfilment. 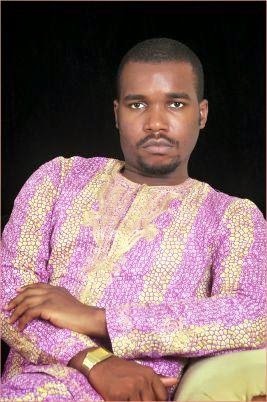 You are celebrated this day IBK! This is to inform all the students of Obafemi Awolowo University about a seminar that will be coming up on 28th January, 2015 at Oduduwa Hall by 12:00noon. The seminar is tagged - Nigeria Beyond 2015. According to the Chairman of Angola Hall, Ibiyemi Joseph, the seminar is non-political and not a religious based one as it is designed to properly sensitize Great Ife students on their various choices during the forth coming 2015 General Election as they relate to the future of this nation. The programme is organized by the Hall Executive Council of Angola Hall. 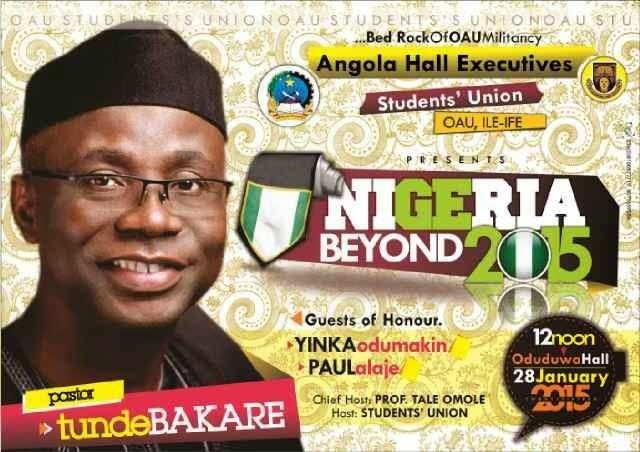 A seasoned speaker and politician, Pastor Tunde Bakare will be the Guest Speaker for the day as Yinka Odumakin, a leader of the Afenifere group and Paul Alaje, a former Students' Union President of OAU will be special Guests of Honour for the day. Yay! Come one, come all. The rate at which fire destroy things these days in Obafemi Awolowo University is increasingly alarming. Just yesterday evening, one of the commercial buses operating within the University campus caught fire along Road 1. 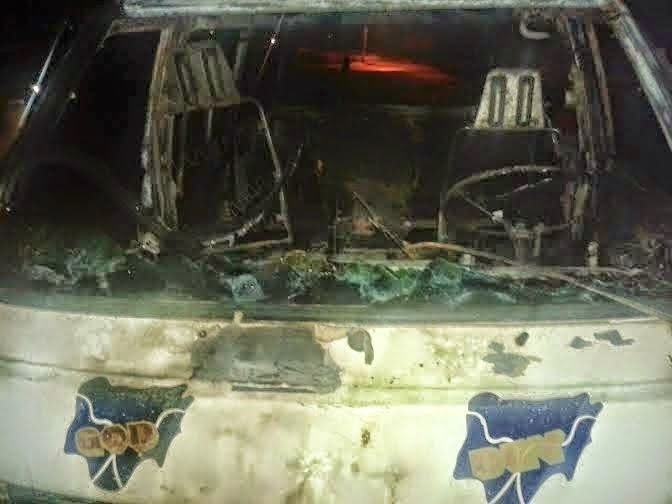 The bus according to a report by Yemisi Tolulope on her Blog got burnt with 11 OAU students escaping unhurt. According to eye witnesses, it took the intervention of the fire fighters from the OAU Fire Department to arrest the situation as they successfully put out the fire. For some time now, the secondary school certificate issue of the All Progressives Congress(APC) presidential flag bearer, General Muhammadu Buhari has been a major story everywhere. At last, the secondary school he attended has finally released his academic credentials detailing his results upon his request. So goes the moon exchanging guard with the sun The sun repeating the repeated roll firing down the moon with his giant gun Life is full of changes; constant is changes Which is why, why the sun shrieks, teeters about, finding his way to shine his sun on souls So same remains the earth So same remains this campus filled with big beards Doing learners with their good gray hairs To win wits in their ends What do you expect? As it happens above It happens to this dirt's stove. Or lift this varsity's face that is down up from this filthy water-rain. Against chameleon; the excrete it gives clings till life leaves. The Nigeria Elections Debate Group on Monday in Abuja said the 2015 presidential debates would hold between January 28 and February 5. The Chairman of the Board of Trustees of NEDG, Mr Sola Omole, disclosed this to newsmen after a meeting of the board, hosted by the former Chairman of Daar Communications Plc, Chief Raymond Dokpesi. Omole said that the Directors-General of the Presidential Campaign Organisations of the 14 participating political parties would open the floor on January 28. This, according to him, will be followed by the Vice-Presidential debates, billed for January 29. He said the debates involving the presidential candidates would hold in two sessions and would climax on February 5. Omole said the group had contacted all the parties involved, adding that they all support the idea. “We believe that debates are very important components of the democratic process aimed at giving the candidates the opportunity to speak directly to Nigerians. 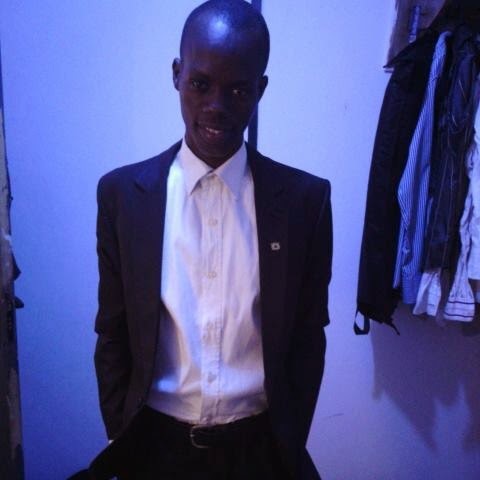 The current President of Gospel Students' Fellowship(GSF), Pastor Muyiwa Olasehinde has been chosen as the University Joint Christian Mission(UJCM) set-man for the next one year. During the final service which doubled as the Thanksgiving and Induction service marking the UJCM's beginning of the semester programme, new set of leaders who will be in charge of the coordinating body were announced and prayed for. Pastor Muyiwa Olashinde from Gospel Students' Fellowship(GSF) and Pastor Ayilola Oyeleke from Anglican Students' Fellowship(ASF) were inducted as the UJCM President and Assistant President respectively. Other executive members cutting across almost all the sister fellowships of UJCM were also announced during the service. 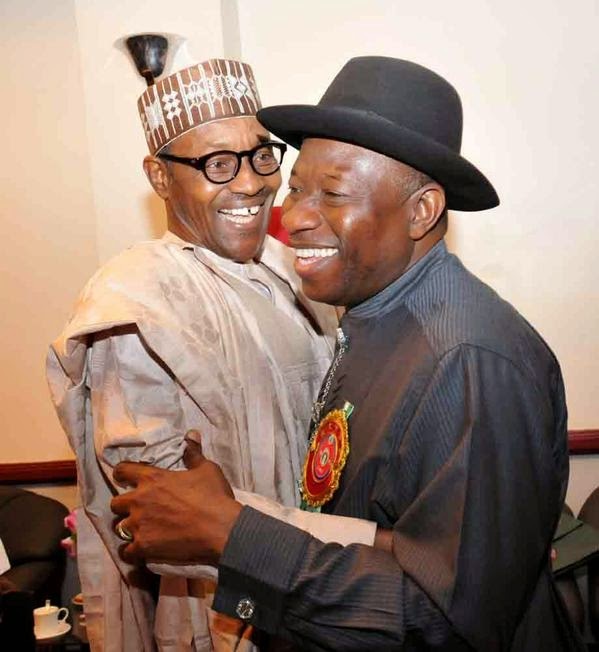 February 14 Presidential Poll: How Well Do You Know Those Contesting? How well do you know the contestants we have for the February 14 Presidential poll and their runnin mates?